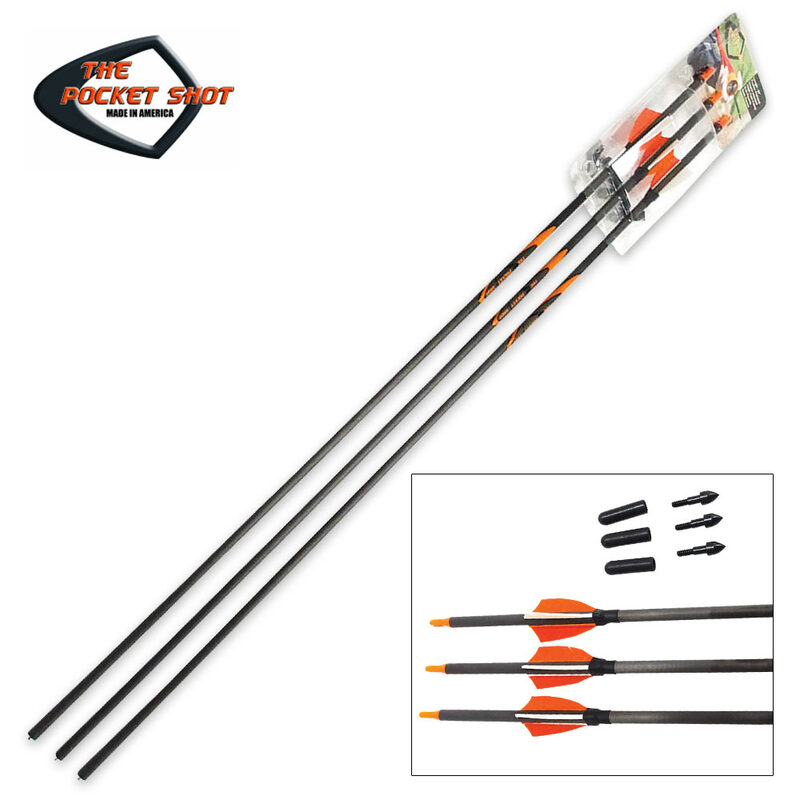 Pocket Shot Custom Arrows - 3-Pack | BUDK.com - Knives & Swords At The Lowest Prices! These Custom Pocket Shot Arrows are specially designed for optimal performance with the Pocket Shot slingshot, arrow pouch and whisker cap ensemble. 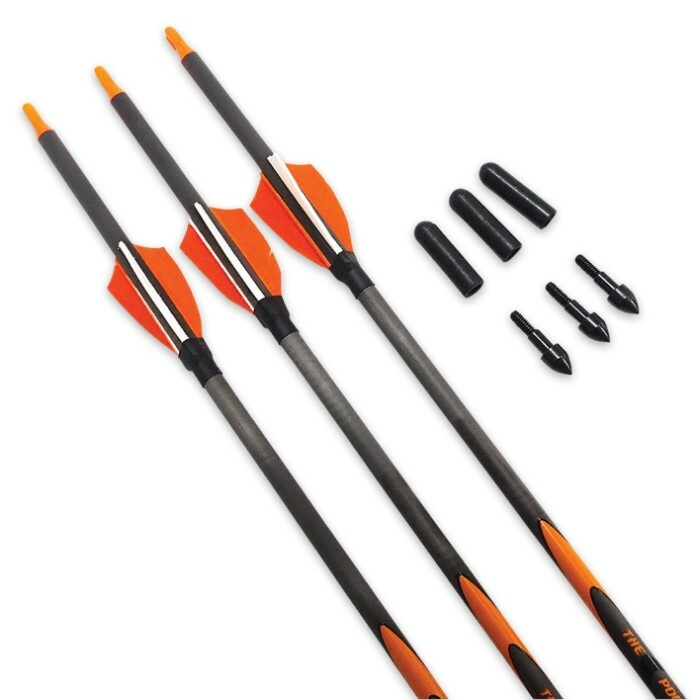 Each 29" arrow features low profile feather fletchings with reinforced wrap and a superb weight and balance that's perfect for shooting with the Arrow Pouch. 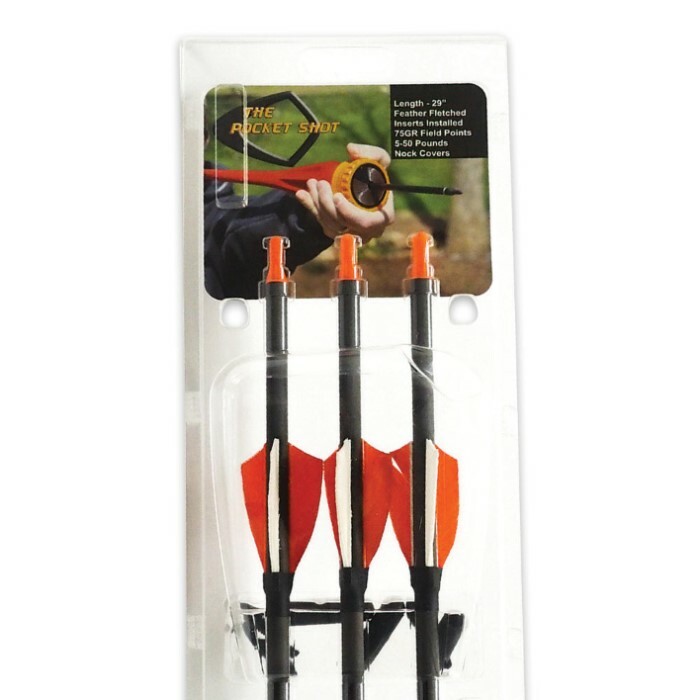 This handy 3-pack includes three each: arrows, inserts, nock covers and 75gr field points.